Sales Tax of 7.00% will be added to orders shipped to Iowa. 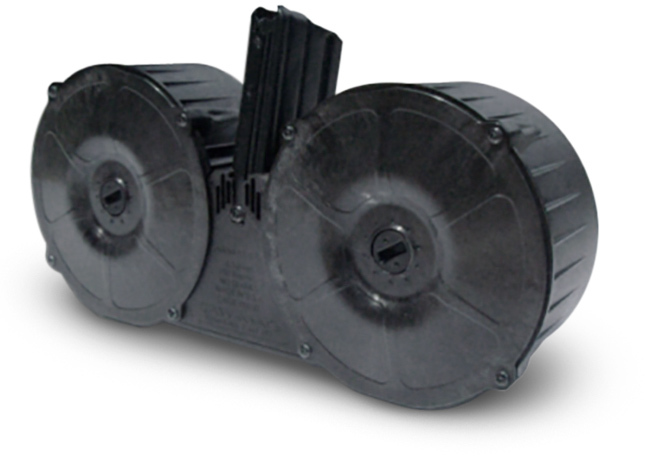 The SAW-MAG™ offers for the first time a reliable and efficient AR-15 Drum Magazine. The SAW-Mag 150 round magazine for the AR15 pattern .223/5.56mm rifle and all weapons accepting AR-15 / AR15 / M16 magazines using the STANAG 4179 standard. Designed to fit NATO standard (STANAG-4179) rifles, the SAW-MAG™ quickly converts a rifleman with a standard M4 into automatic support personnel. The flexibility of such force multiplication makes the SAW-MAG™ the most dominant accessory for the M4/M16/M27/HK416 family of weapons. 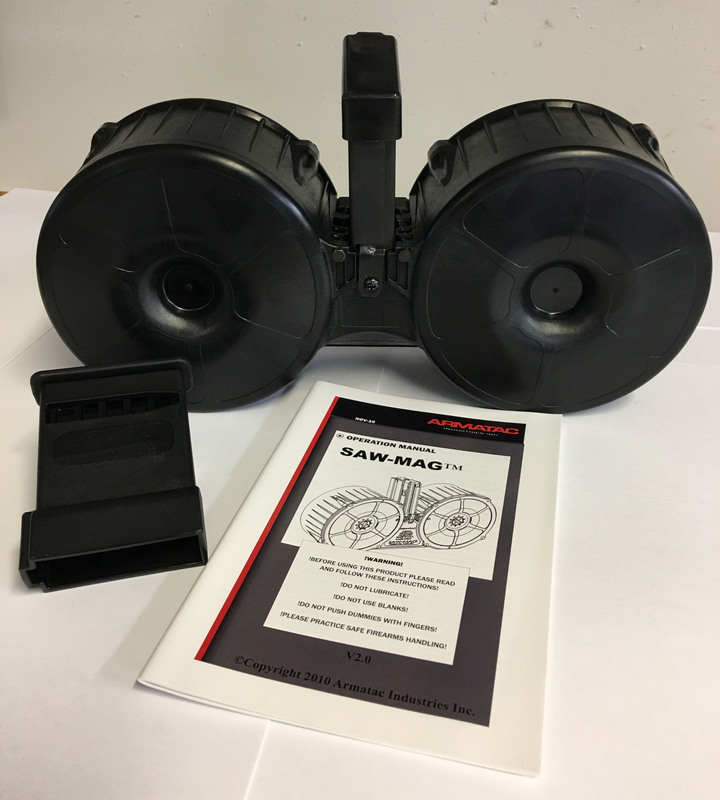 The SAW-MAG™ is a hybrid design externally constructed of thick walled long glass polymer and steel. 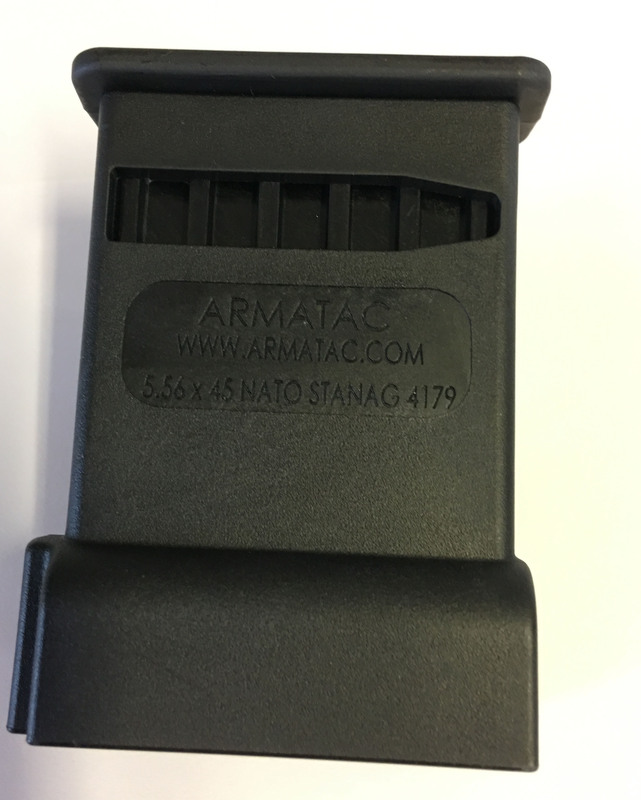 This allows the magazine to have the durability to survive real world conditions. 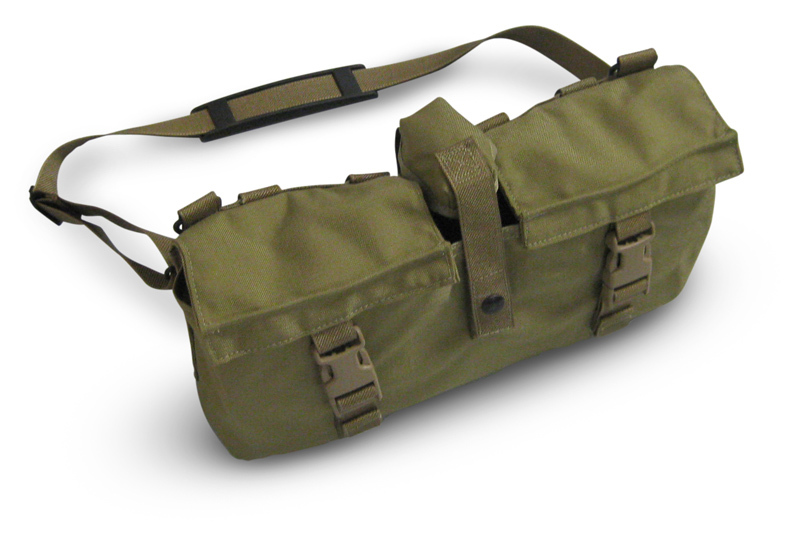 The hardened steel USGI tower allows it to fit into any weapon that accepts the 30 round standard magazine. All parts are from production tooling for precision and economics. The SAW-MAG™ was designed to have the lowest operating drag due to friction. The ammunition is contained individually inside the drums on sprockets, each cartridge gets its own separate space, the ammunition is picked off the sprockets when they spin, not a typical high friction convergence found on cheaper designs. This is why our system does not require graphite lubrication to work. Instead of funneling the ammunition, the SAW-MAG™ uses a proprietary design that allows the ammunition to always be in a singular stream which results in a very low friction operation. Our products are 100% guaranteed against defects in workmanship or materials. Armatac Industries will replace or repair unit at no cost to owner (exclusive of shipping). Gallery image represents whats in the box, 1 Saw-Mag, 1 speed loader, 1 dust cover, and a manual. Made in USA.